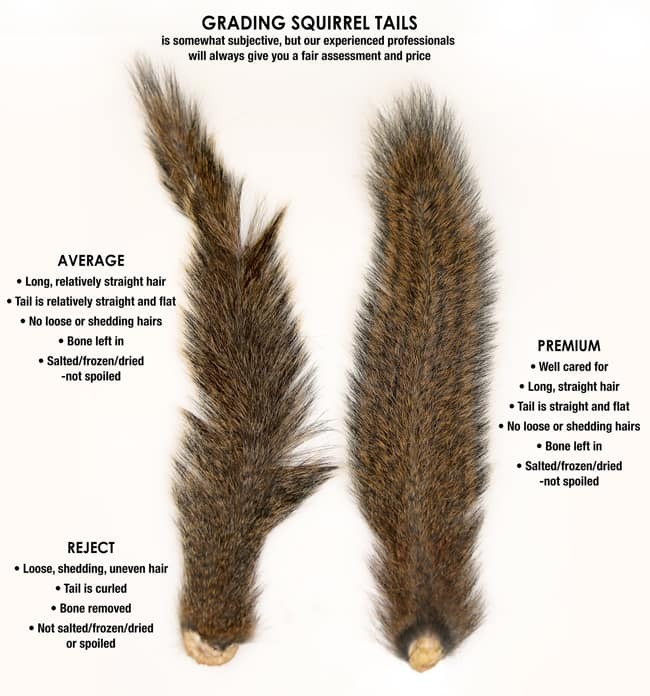 Mepps® continues to ask hunters and trappers to save their squirrel tails for. The tails are recycled and used for their hand-tied dressed hooks, which anglers find on their world-famous fishing lures. 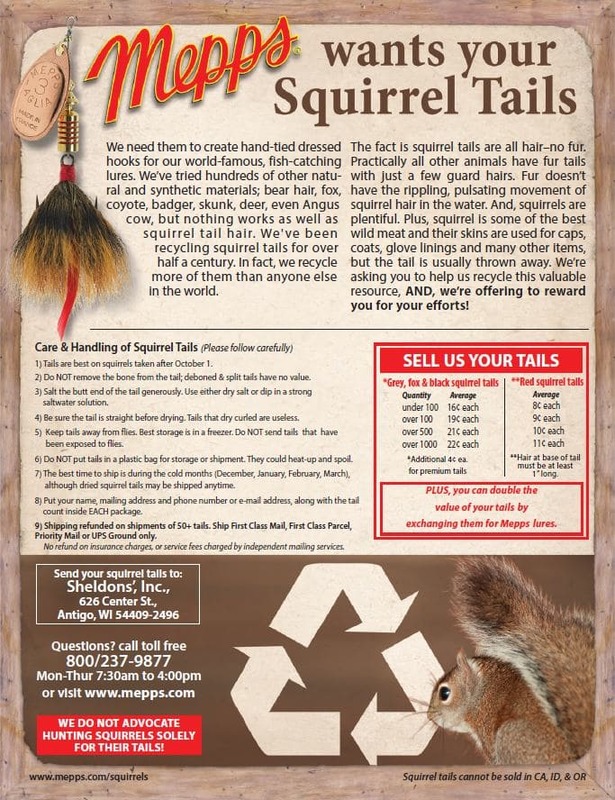 Mepps Squirrel Tail Program has been recycling squirrel tails for over half-a-century. The fact is squirrel tails are all hair—no fur. Practically all other animals have fur tails with just a few guard hairs. Fur doesn’t have the rippling, pulsating movement of squirrel hair in the water. And, squirrels are plentiful. Plus, squirrel is some of the best wild meat and their skins are used for caps, coats, glove linings and many other items, but the tail is usually thrown away. We’re asking you to help us recycle this valuable resource. AND, they’re offering to reward you for your efforts! Mepps buys fox, black, grey and red squirrel tails and will pay up to 26 cents each for tails, depending on quality and quantity. Plus, the cash value is doubled if the tails are traded for Mepps lures. NOTE: Mepps Squirrel Tail Program is only interested in recycling tails taken from squirrels that have been harvested for the table. We do not advocate taking squirrels strictly for their tails. It is illegal to sell squirrel tails in the states of CA & ID, and it’s illegal to sell Western Grey Squirrel tails in the state of OR. Once Mepps Squirrel Tail Program has received your tails, our experienced team will grade the tails as premium, average, or unusable. With over 30 years of experience, you can trust their appraisal will be fair and accurate. If you have indicated “Trade for cash” (see step 8), a check will be sent to you. If you have indicated “Trade for lures”, you will be contacted to take your lure order.